Intrusion detection systems generate highly valuable logs with network usage details and alerts. They collect vast amounts of data and typically store them in structures with a large number of fields. To make sense of so much data and to make such information actionable requires advanced analytics, alerts, and search functionality. Because of that the IDS systems and Log Management systems are a perfect match! Nevertheless, parsing, shipping and analyzing logs could be challenging. 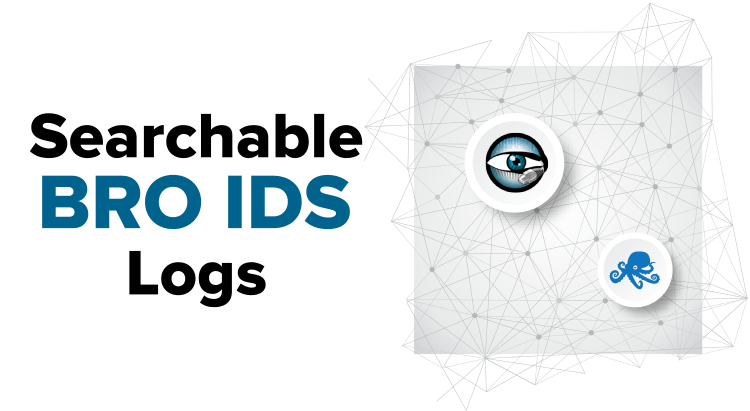 In this blog post we’ll show an easy way to set up for the popular trio – Bro Network Security Monitor, Logagent, and Elasticsearch – and get you started with IDS log analysis within just a few minutes! Bro is a powerful network analysis framework that is much different from the typical IDS you may know. Bro has originally been developed by Vern Paxson, who continues to lead the project now jointly with a core team of researchers and developers at the International Computer Science Institute in Berkeley, CA; and the National Center for Supercomputing Applications in Urbana-Champaign, IL. To make our lives with Bro easier we want to make the resulting IDS logs searchable. Doing that allowed iterative, interactive, ad-hoc querying, which results in a big productivity boost for security incident post-mortems. It also lets us create alert queries on the continuous stream of this log data, thus enabling near real-time reactions to reported issues. This post provide the recipe for making Bro logs searchable with Elasticsearch. The idea is to configure Bro IDS to generate logs in JSON format and then use a log shipper to forward them to Elasticsearch or Logsene. We will start with some Bro IDS basics, then configure Logagent as the log shipper, and finally show the results in Logsene, a handy ELK as a Service we’ll use to avoid needing to run our own Elasticearch. Looking for a hosted Elasticsearch as a Service? Try Logsene! Get scheduled reports, alerting, anomaly detection, ChatOps integration, and more. Give it a try! This was easy! Bro logs all info in different Bro log files like conn.log, http.log, dns.log, weird.log etc. We will create the configuration for Logagent in the following steps and, once done, we’ll start the run Logagent service again. After a minute we should see Bro logs indexed in Logsene. Now we can easily search all data provided by Bro or use Kibana to create charts that provide insights about our network activity. Got other, better, or more interesting Kibana dashboards and charts? Ping @sematext or leave a comment, we’d love to see them! Use Bro with Logsene! Have Bro IDS reports delivered to you in real-time via Slack, Hipchat, email, etc. using Logsene’s scheduled reports, alerting, anomaly detection and ChatOps integration capabilities. Give it a try!